WILL NEW GENE-EDITED FOODS HELP OR HARM YOUR FOOD SUPPLY? This post is about a subject very dear to all of us: our future food supply. Modern scientific advances have now given mankind the ability to alter and modify the DNA sequences of every living thing. The invention of CRISPR and similar technologies have made it possible to manipulate the DNA content of living cells in all kinds of living beings and plants. Does this concern you as much as it concerns me? I think it should. The first link describes in considerable detail how scientists are now altering the DNA of many kinds of staple food items. 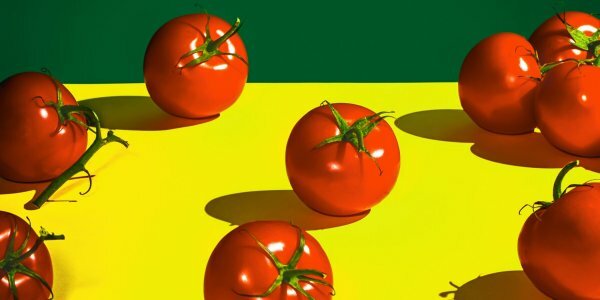 The article focuses closely on DNA-alterations of tomato plants, but the article notes corn, soybeans, potatoes and other crops are having their DNA manipulated as well. Some DNA alterations are being done to try to improve crops in various ways, but the long-term effects of these DNA changes are not known, nor can they be known until years and generations have passed. How widespread is this genetic manipulation of our food supply? One source in the first link states that “There isn’t a single crop that I know of in your produce aisle that is not drastically modified from what is out there in the wild.” Even heirloom vegetable crops may be manipulated in the future. I recommend the entire first link to you for reading as it is well worth your time to understand how extensive the DNA alteration of your food supply already is, and for a description of the technical side of how such DNA manipulations are being done. The article takes the position that “DNA editing” should not be subject to governmental oversight because it is not a “genetically-modified food.” Personally, I see only a semantic difference between the two terminologies, and the two categories have a “distinctive without a difference” in my view. As I see it, if it takes laboratory interventions and technologies to create a new form of food, it is, without doubt, a genetically-modified food. There are several real dangers, in my opinion, in introducing a wider array of genetically-modified vegetables and crops into the food supply. Let’s review some of the risks. The first risk is that we have no way of knowing how the introduction of genetically-modified foods into the food chain will alter the DNA of the animals, birds, and humans who consume those DNA-altered foods. Will GM foods eventually alter the fertility of species to be able to reproduce normally? If DNA-edited or -modified foods have “terminator” genes built into them so they cannot reproduce naturally, how do we know these terminator genes will not alter the ability of all species to reproduce naturally when they eat these DNA-altered foods? I especially am concerned that the widespread introduction of genetically-modified foods into the world’s agricultural and rural areas have contributed to the global decline in the honeybee population. I’ve written on this topic before and my posts are available in the blog archives of my website. Bee populations have declined steadily as genetically-modified foods have steadily been increased in acreages planted each year. Bees need living pollens to obtain nutrition, be able to communicate, reproduce, etc. Perhaps the correlation between bee declines and the introduction of ever-more genetically-modified plants into the environment is only coincidental, but this correlation exists and it needs to be investigated before more genetically-altered plants are put into the food chains of nations. It is also possible that the increased reliance on chemical fertilizers, herbicides and insecticides are also causing bee declines. This needs to be forensically examined as well. I’m sure you can find “experts” who will assert that “there is no risk” of any causation between altering the DNA of plants and bee declines, but I am reminded that there were plenty of “experts” decades ago who assured the masses that smoking couldn’t cause lung cancer and that thalidomide was a terrific new drug for pregnant mothers to take. Consider another risk. The first link discusses the fact that the companies developing all these new kinds of genetically-altered types of vegetables, grain crops, etc. are patenting their new strains of food items. This can easily lead to a situation where the seeds for all kinds of basic food crops are infertile [Indeed, the link observes that it is a conscious goal of one genetic-alteration program for tomatoes to produce tomatoes with no seeds at all!]. The patenting of all genetically-altered food types will result in the agribusiness companies selling the seeds for all such crops to farmers every year–giving the large agribusiness companies a monopoly on the world’s food supplies. If you can control a nation’s food supply, you can control that nation by selling or refusing to sell its farmers the seeds they need to grow food for their nations. This kind of corporate monopoly could lead to wars being fought over food supplies, and we may even see nations waging war against large agribusiness companies to stop them from manipulating the globe’s food supplies via tying up all patents for their genetically-altered food crops. The first link also notes that there are now “three giant multinationals in global agriculture:” Bayer/Monsanto, Dow/Dupont and Syngenta. These three global multinational food giants will see one German mega-company, one American mega-company and one Chinese mega-company potentially controlling the entire world’s food supply via their patenting of future food crops via genetic-alteration technologies. This almost sounds like the plot of a James Bond movie with large agribusiness multinationals becoming the “bad guys” who decide which nations get to plant food supplies and which ones will starve because they don’t receive any seeds. Revelation 13:16-17 prophesies that the control-freaks in the eventual beast power that will oversee the world will monitor and control all financial translations. Why wouldn’t they use CRISPR technologies and patents to also control the nations’ food supplies by forcing them to adopt the beast system’s global agenda in order to buy seeds for their farmers to grow? It is a dangerous new world that we are entering. Profits are being put before the potential long-term survivability of many species which depend on each step of the food chain. However, there is one bit of good news. If you are concerned about what happens to your food supply in the future, you may want to contact your elected representatives to express your opposition to DNA-altered foods of any kind entering the food supply of your nation. You may also want to buy some natural seeds for your favorite vegetables that are not genetically-altered for your personal use in future years. If they are natural seeds of heirloom crops which have not been created via genetic-manipulation, then they cannot be patented so you are free to “seed save” their produce from year to year. We do not know how DNA-altered foods will affect the food supply in future years. What we do know is that Revelation 6:5-6 prophesies that food supplies will be curtailed in the latter days and food will be rationed to the masses by price. Perhaps such food shortages will be caused by weather disasters or by a shortened growing season all over the world due to a huge volcanic eruption causing global cooling. However, such shortages could also be caused by genetically-altered foods killing off bees and other pollinators or having deleterious effects on food supplies that are not yet foreseeable. Biblical prophecies foretell that many serious challenges will be present during the latter days of our age. For biblically-based insights into how to prepare for these future challenging times, I urge you to read my articles, Are We Living in the Biblical Latter Days?, and Should Christians Prepare for Future Hard Times?